GeForce GT 440 is the new GeForce reserved to OEM. The GT 440 comes with an impressive amount of graphics memory (up to 3GB! Why?) and should be faster than the GeForce GT 430. 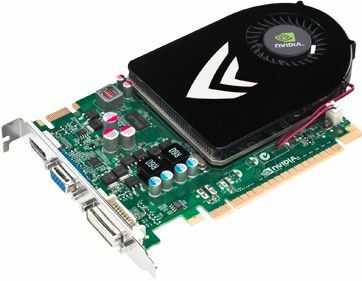 The GeForce GT 440 does not require a power connector and draws all necessary power from the PCI Express slot. This card is much better than the recently release GT 430. Why isn’t it available to retailers?? This card, coupled with 512MB or 1GB of memory would be the ideal budget card.